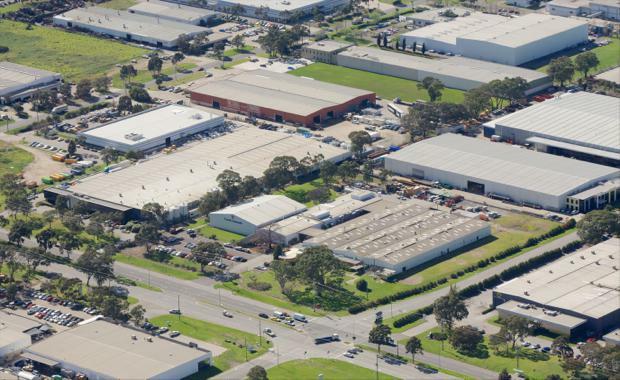 Property fund manager Quintessential Equity has sold an industrial facility in Dandenong South to a private investor for $7.2 million. The property is located at 269-271 Frankston-Dandenong Road on the corner of Frankston-Dandenong Road and Cojo Place, approximately 35 kilometres south-east of the Melbourne CBD. The 2.43 hectare site has a total building area of approximately 7,340sqm. The Dandenong South property has recently undergone significant redevelopment with a new workshop recently constructed on behalf of sole tenant, Tycab Australia Pty Ltd, a national manufacturing company. A new 14-year lease agreement was also secured with Tycab Australia in March 2015 which will see the company extend its stay at the Dandenong South facility until at least 2029. Quintessential Equity Head of Property Russell Bullen said the combination of a prime location, a new lease agreement with a high quality tenant and the availability of surplus land for additional development ensured solid market interest. [urbanRelatedPost][/urbanRelatedPost]“Since acquiring the property in November 2012 we have worked closely with our sole tenant, Tycab Australia, to upgrade the working environment and improve site functionality," he said. The sale was managed by Colliers International and Savills who worked as conjunctional agents. Colliers International Director Justin Fried said he was not surprised by the level of interest the property attracted or the sale result it achieved. Savills Industrial Divisional Director Ben Hegerty said the property had attracted significant interest from investors in search of a quality, long term investment.